Get your answers for commonly asked PC Pitstop questions here. We've organized our frequent questions into separate sections based on categories. Find the link below that is the best match for your question. 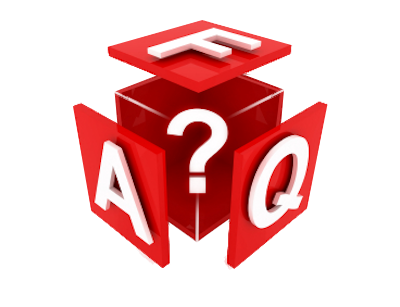 If you still have questions after checking here, try our Support Forums for an answer. How to change or remove your account; login, email and password issues. You purchased a PC Pitstop product and have questions. You purchased a PC Pitstop product and need help not covered in FAQs. Browser cookies that we set, what they do, and our recommended settings. Our recommended settings for IE security and third-party firewalls. Information on the use of software firewalls with PC Pitstop. What data we collect at the site, and how we use it. What to do if you can't complete PC Pitstop tests for any reason. How to send a link to your test results so others can see them. What software we install, what it does, and how to remove it. The most common questions on PC Pitstop PC Matic. The most common questions on PC Pitstop PC Magnum. The most common questions on PC Pitstop Optimize. The most common questions on PC Pitstop Driver Alert. The most common questions on PC Pitstop Disk MD. How you can stop intrusive system-hogging programs from running. What the SMBIOS is and how it affects your test results. The best place to ask for help is on our support forums, also known as "The Pit". You won't get a single answer there...you'll get dozens! The helpful, friendly, and knowledgeable people there can help you fix whatever ails your computer. Most questions or feedback about the site, your computer results or your account should be answered in these FAQs. If you have a question not covered here, you may submit a support ticket from our support page. When you register for an account at PC Pitstop, you can save your computer results in our database for later review. This lets you compare results from two systems, see the performance of a single computer over time, or show your results to other users. Your email address and password identify your account uniquely; although we ask for your first and last name it is only used for display purposes. Newsletter: Sent infrequently (no more than monthly) to notify users of new site features and important updates. Recalls: When vendors announce safety or reliability recalls and we can determine that a PC you tested may be affected, we can notify you. Administrative: When you register, we send a welcome message with your registration data. We may also notify you if we plan to remove the account due to inactivity. How do I remove my email address from your list? To change your newsletter and product recall options, edit your account. To eliminate all mailings, remove your account (see below). When you remove your account, we do not keep a permanent record of your email address. However, there is a small window of time (typically less than 48 hours) in which you may receive a mailing because of the way we pull email addresses from the database in preparation for mailings. In most cases, you can opt out of the newsletter mailing list simply by replying to the newsletter message with the subject of "remove"; this shortcut will only work if the email address in your mail client exactly matches the email address that you registered with PC Pitstop. How do I change my account settings or email address? Go to the Edit Your Account page; you may need to log in. (If you do not know your password, click here and we will email it to you.) Make the changes you would like to your email address, password, newsletter preferences, or other data, and click Submit. If you changed your email address or password, click the "Log Out" link under your name and log back in with your new information. You can go here to reset your password (https://www.pcpitstop.com/support/#/kb/login-issue) if you have forgotten it. You must use the email that you used to sign up with, or the email that is currently associated with your account. After submitting it, check your inbox for instructions on the reset process. I log in, but on the next page I'm not logged in. Why? Your computer is not accepting session cookies. Our site is accepting your user name and password and creating a session to remember your results, but your computer is not returning the cookie that identifies your session. This may be because of your browser settings or because you are using a third-party browser or security program that is blocking cookies. Why does PC Pitstop say my email address is not valid? You have entered it incorrectly. Double-check the address. You are using an anti-spam product such as MailWasher that sends back "undeliverable" notices on messages that it considers spam. Disable the product temporarily or add PCPitstop.com to an exceptions list. You are using an anti-spam service that requires the sender to respond to a challenge message before the mail goes through. Our automated mail agent cannot respond to these messages. Your ISP or mail service is returning the mail because it is thought to be spam. Check the company's support site to see if you can modify the settings. If possible, add bounces@pcpitstop.com to your whitelist ("friends list") so that the mail can get through. Your mailbox is full, and your mail service is returning the mail. Go to the inbox and read or delete enough messages to make some room. When you come to the site and receive a message on the testing page that says your email address is invalid, click the "Change Login" link under your name. Double-check the email address, make any required changes, click the "Change Account Info" button, and we will re-verify the address. (If you think the email address is valid, just resubmit it; you don't have to actually change any information.) If you are consistently unable to use your email address to receive mail from us, we suggest you sign up for a free mail account from a site such as GMail or Yahoo. Note that we do not mark an email address invalid unless we receive a reply that indicates there was a problem delivering the email. Mail sent to the reply address is processed by a program and not read by the staff. Why does PC Pitstop say I am an "Unknown User"? Inactivity: The account has not been used for more than three months. Bad email: Messages to the email address of a new account were returned undeliverable, and the problem was not corrected within a month. If your account has been deleted, simply create a new one with the same email address. To ensure that the account isn't deleted, stay active on the site by testing your system and checking your email address at least once a month. To permanently remove your account and results from the PC Pitstop database please open a ticket with our Customer Service department at https://www.pcpitstop.com/support/ and we will be happy to oblige. PC Pitstop currently sells five products, PC Matic, PC Magnum, PC Pitstop Optimize, Driver Alert and Disk MD. For questions about these products, click on their logos to view the product FAQs related to each. What third-party services does PC Pitstop use? Third-party services such as Google AdWords deliver some of the ads on our site. Please note that PC Pitstop does not not necessarily endorse products or services that are advertised, and cannot always control the content of these ads. Please let us know if you purchase a product from an ad on our site that you believe is fraudulent or deceptive. If you cannot determine where you made your purchase, check your browser history pages to find the location or see if the web site is listed on your credit card statement. Is PCPitstop.com related to PC-Pitstop.com? No, PC Pitstop of St. Louis (pc-pitstop.com) is not endorsed by us, and we have no relationship with it. If you have purchased something at that site, please contact them. Is PCPitstop.com related to PCPitstop.net? No, PCPitstop.net is not related to us. If you have purchased something at that site, please contact them. Is PCPitstop.com related to PCPitstop.biz? No, PCPitstop.biz is not related to our site. If you have purchased something at that site, please contact them. While visiting PC Pitstop, you will receive browser cookies. This page provides information on what cookies do, the cookies that PC Pitstop uses, and our recommended browser cookie settings. A browser cookie is a small piece of data that a web site may place on your hard drive to keep track of certain information. Cookies generally fall into one of two categories: session or persistent. Session cookies are only used for the duration of your visit to a Web site, and are removed when you leave the site. Persistent cookies store data between visits to a site. What cookies does PC Pitstop use? ASPSESSIONID You must accept this session cookie in order for the site to work properly. Each time you retrieve a web page from the site, this cookie tells us which set of test results and tips we should use to customize the page. BigIPServer You must accept this session cookie in order for the site to work properly. Because of our high traffic, PC Pitstop maintains multiple web servers. This cookie ensures that all your requests go to the same server during your session. who When you log into the site, we store information in this persistent cookie if you check the "Remember me" box below the login area. It lets us automatically log you back into the site on later visits. This cookie is optional, and you can reject it if you want or simply clear the "Remember me" check box and it won't set the cookie. Without this cookie, you must log in manually on each new visit to PC Pitstop. computer Each time a computer is tested it can take several seconds for us to search the database to see if the computer has been tested before. This persistent cookie makes testing faster by saving the record number of the computer in our database so that the site does not need to search. It also provides a way for anonymous users to see previous test results without registering. The cookie is optional, but if you reject this cookie the site will be slower for you. CookieCheck During diagnostics, we may set this cookie as a way to determine whether the browser's cookie support is working properly. If you reject this cookie, you will probably receive an message that your browser's cookie settings are not working properly. What cookie settings does PC Pitstop suggest? To use the site properly, we recommend these settings for Internet Explorer 11. If you are using an older version of IE we suggest that you upgrade because the cookie settings in IE11 provide more control than earlier versions. Select Tools > Internet Options > Privacy tab, and click the Advanced button. If your PC completes at least part of the testing before you encounter a problem, please see the tests FAQ for more help. What are the correct IE security settings? To change your security settings in Internet Explorer 11, select: Tools > Internet Option > Security. Make sure you have selected the Internet zone as shown on the picture. Usually, the Medium security level is sufficient for use with PC Pitstop, and you can get to that setting by clicking the Default Level button. Do I need to disable my firewall? PC Pitstop can usually test a PC that has a software firewall enabled. If you have changed the firewall from its default settings and made it more restrictive, however, some parts of the PC Pitstop tests may fail. In particular, many firewalls will try to block the Internet upload speed test which uses FTP, and stop the testing process when they do so. You can tell PC Pitstop to skip this test on the debug page or temporarily disable your firewall. In most cases, PC Pitstop will have no trouble testing through a hardware firewall. The Internet upload test sometimes will not run if your firewall is very restrictive, and it can be skipped through the debug page. All support is handled through our Customer Service team. We strongly encourage you to read through our user guides and frequent issue sections before submitting a ticket for help. If you do take this route and still need assistance, please contact our support team and be sure to let them know which methods you have already attempted. This page contains information on the use of software firewalls with PC Pitstop. Why do software firewalls cause test problems? Depending on how you have it configured, a firewall may cause the tests to stall. This often happens at the Internet upload speed test, when we try to use FTP to check the speed of the link between your PC and our servers. The stall problem only occurs with software firewalls because of the way this action is blocked--it's at the software level rather than the packet level. When a hardware firewall blocks the packet, the tests simply continue on and make a note that they were unable to do the upload test. One way to solve the problem is to use the debug page to skip the test, but you will need to do that every time you visit the site. The simplest thing to do for trouble-free testing is to add PC Pitstop to a "trusted sites" or "allow" list maintained by the firewall. This will prevent the firewall from interrupting the test. You will need to set your firewall to allow www.pcpitstop.com. The corresponding IP is 198.101.174.136. The program name is PCMatic.exe and PC Matic also needs to be able to receive incoming data. Account information:PC Pitstop, Inc. software applications require an account to license and use. Depending on the software type, to create an account you enter your name, company position, company name, address, telephone number, mobile number, email address, password, and some basic information as part of the registration or purchase process. PC Pitstop, Inc. websites, such as blogs or forums, may require that you create an additional account. This account may include your display name or nickname, and email address. Our third party service providers may use billing information (credit card number and billing address) on our behalf to process orders. Visit the PC Pitstop email preferences page. Enter the email that PC Pitstop, Inc's emails are being delivered to. Under current subscriptions - Uncheck the box next to the email you no longer wish to receive AND click submit. What should I do to solve a testing problem? Make sure your cookie and security settings are correct - See our cookies and security FAQ pages for complete instructions. Use PC Pitstop's troubleshooting page - The suggestions there take into account any information we are able to gather from the system itself, so it often lets you zero in on specific problems quickly. Scan for viruses - Run a quick or full scan and clean with PC Matic to make sure you remove any malicious files. Disable browser add-ins such as ad blockers or popup stoppers - they often make changes to the HTML and script code on a page. Update your operating system using Windows Update - If you are not visiting Windows Update at least monthly, or using AutoUpdate, you are almost certainly missing one or more important security, performance, and stability patches. If none of these steps solve the problem, read the remainder of this FAQ carefully. How can I find out which test is not working? During PC Pitstop's testing process, you will see a blue status bar on the screen. The status bar tells you the test that is currently running. If an error occurs, you should make a note of the text in the status bar because many of the troubleshooting procedures will refer to this. For example, you can use this information to skip over the problematic test. Also, if you ask for help on the forums we will want to know this information. My PC stops or crashes during the testing, why? Occasionally, our PC Pitstop utility has bugs, but that is fortunately rare. More often, our tests discover a bug in a driver or other system software that results in a crash. To troubleshoot the problem, note which test you are running (from the blue status bar; see the FAQ item immediately above). Upload Bandwidth - The upload test uses FTP to send some random data to our server. Some firewall programs, try to block this traffic but cause the browser to lock up in the process. Disable the firewall and the problem should go away, or skip this test through the debug page. Our Firewall FAQ has more information. Download Bandwidth - To test download speed on a broadband link, we send a very large web page to your computer. Some firewall programs cannot handle a web page this large and will cause it to fail. Disable the firewall program and the problem should go away. Remember to turn it back on after testing. Can I skip over a test that I can't run? Yes, in most cases the troublesome tests can be skipped. To skip a test, go to the debug page and check the boxes for the tests you want to skip. When you skip some tests, you won't get a full set of advice since we'll be missing the data we use to do that analysis. Where do I report problems and/or get more help? Basic info of your system (Windows and IE version, at least). If you have been able to test your system at PC Pitstop in the past, please post a link to your most recent results with your message. Our tests use Windows Management Instrumentation (WMI) to gather some of the system configuration data from your system. If WMI is not working properly, it could cause certain information to be reported incorrectly by PC Pitstop. Left-click the arrow [>] next to Services and Applications to expand the tree view. Now, right-click on the same WMI Control item and select Properties. If WMI is working properly, you will see "Successfully connected to ". If WMI is broken, you will see one or more error messages in the dialog. WMI is pre-installed with Windows operating systems. In rare circumstances, it can become corrupted. Once corrupted, it can sometimes be fixed relatively easily; in more extreme cases, you will have to repair or reinstall Windows itself. You can find a Microsoft Diagnosis Utility for WMI here. This utility, which does not use WMI itself, can tell you the current state of WMI on your computer. The WMI Diagnosis Utility was designed for use by experienced Windows administrators. If you are computer-savvy, then the WMI Diagnosis Utility is probably the place for you to start. The PC Pitstop team has also put together a tool to help repair WMI on your machine. You can download the batch file here. Please download and save the batch file to re-register and repair WMI components. Please allow it to complete, then restart the computer. If you’re still suspect you’re having WMI issues, contact our customer support team for further assistance at www.pcmatic.com/help. Create an account on the PC Pitstop site if you don't have one already. Anonymous users cannot share their results. Run the Full Tests or load some previous test results. When you get to the Summary page showing your results, click on the link that says "TechExpress: Share or email test results." You may find this link at the bottom of the page. If you're not sure where to look for these links, we've put together a visual guide to show you what to do. Your PC Pitstop results contain a lot of detailed information that most computer-savvy people will want to know when trying to solve a problem. By providing a link to your results along with your question, you can save the time it takes to dig out the information that someone might need before they could solve your problem, such as: "What version of Windows are you running? Which version of Internet Explorer? Do you have an antivirus program?" One of the best places to share your results is on our own PC Pitstop Forums. Our online community can help you solve virtually any PC problem quickly and at no cost. It's a fun place to hang out too; you might even make some new friends! Maybe you're considered the PC guru among your family or friends. If so, shared results will definitely make it easier to help them with computer problems. Just have them register on our site, test their system, and send you the link. These results can also be helpful for our customer support team to understand your computer configuration. The most common reason a link stops working is because it has expired. Results links are only valid for one month from the time they are issued. This provides you with better control over who sees your results. (You don't need to retest to get a new link, just load the old results.) Another possibility is that the results have been deleted, either through the "View previous test results" page or as a result of the user removing their PC Pitstop account. Frequently asked questions relating to PC Pitstop's Utilities. What changes does PC Pitstop make to my PC? Other than installing the ActiveX controls described below, PC Pitstop does not make any changes to your system during testing. The ActiveX controls themselves are passive, run only while you are testing your computer on the site, and do not have the ability to change any system settings. When you are offered advice and/or Autofixes for problems that we detect, you always make the decision whether to follow the advice. Nothing happens "behind your back" without your permission or approval. What software does PC Pitstop install? PC Pitstop installs several utilities (ActiveX dll and EXE files) on your system when you give it permission by clicking OK on a security certificate. Not all the utilities will always be installed on your system, it will depend on which parts of the site you have visited and what features you selected for testing. DiskHealth Class DiskMD3Ctrl.dll Performs disk health and fragmentation checks for NTFS and FAT32 partitions. iCC Class PCPConnCheck.dll Provides "ping" functionality for the Ping and TraceRoute tests on the site. AV Class Pav.dll, IMScan.dll, apvxdut.vxd, PAV.SIG Our online virus scanner; to remove go to Control Panel, Add/Remove and remove the "PC Pitstop Virus Scanner"
mhLabel Class mhLbl.ocx A simple ActiveX control used in the "Check ActiveX" section of the site. How do I remove PC Pitstop utilities? Note: You cannot remove the utilities if you have just run tests at the site, because the files are in use by IE. Close all IE windows, start IE again, then use the procedure described here. Most of PC Pitstop's utilities are installed automatically when needed by Internet Explorer and don't have an entry in "Add/Remove Programs". To remove them, open Internet Explorer and go to Tools | Internet Options. Under the General tab, click the Settings button under Browsing history. Then click the View Objects button. In the list of installed objects, find the ones with the names listed in the table above. (Not all of them may be installed on your system.) Right-click each one and select Delete. PC Matic is the collection of all of PC Pitstop's technologies under one hood and one integrated architecture. PC Matic comes with SuperShield, our real-time protection component that uses a global whitelist to stop all known bad and unknown malware from running. It also removes "junk" files to free up disk space, adjusts Internet settings for better performance, removes invalid registry keys, adjusts several registry settings that can improve overall performance, defrags your hard drives, loads the latest and greatest drivers, cleans the computer of spyware and viruses, optimizes Windows services, updates vulnerable applications and runs multiple benchmarks. What files does it delete? Recycle Bin. Files are not actually removed from the drive when you delete them with Explorer. Instead, the files are moved to the Recycle Bin where you can retrieve them if you later decide that you should not have deleted them. PC Matic empties your Recycle Bin to reclaim this disk space. Internet Cache. Internet Explorer creates temporary files that are not needed after you finished surfing. These files can take up large amounts of space and should be removed periodically. Although you can clear the cache in Internet Explorer, PC Matic uses a more thorough method that deletes files left behind by IE. Temporary Files. Windows and applications create various temporary files that are not needed after the application exits or Windows is shut down. In many cases, however, the applications do not always clean up after themselves. After scanning your system, PC Matic gives you the option to review the files that it found and to select which files should be deleted. What system settings does it change? Maximum Transfer Unit (MTU) The maximum packet size that is sent and received over the internet. TCP Receiving Window Size The amount of data that is received before confirmation. Default Time to Live The length of time the data is kept before being discarded. Automatic MTU Detection Allows your system to identify the MTU size. Blackhole Detection Checks if connected systems supports Automatic MTU discovery. Large TCP Windows Support for larger amounts of data before confirmation of received. Fast retransmission and recovery Allows for a fast transaction recovery after lost packets. Selective Acknowledgements Allows for recovery without re-sending existing data after lost packets. Number of Allowed Simultaneous HTTP Connections Number of open connections to a single web site at one time. DisablePagingExecutive Specifies whether user-mode and kernel-mode drivers and kernel-mode system code can be paged to disk when not in use. NtfsDisableLastAccessUpdate Determines whether NTFS updates the last-access timestamp on each directory when it lists the directories on an NTFS volume. DisableScreenSaver Turns the system screen saver on or off. AlwaysUnloadDll Determines whether Windows cache's system DLLs. LargeSystemCache Determines whether the system maintains a standard size or a large size file system cache, and influences how often the system writes changed pages to disk. Can I undo the changes it makes? The hard disk clean-up permanently removes unnecessary files and cannot be undone. All of the other utilities in PC Matic can be completely reversed. The very first action PC Matic does before making any registry setting changes is to make a backup of these settings. When you run PC Matic it will give you the option to restore the registry settings back to any point before the application was run. For any technical questions--before or after you purchase the product--please use our PC Matic forum. That way, you can get quick answers and share your questions with other users. If you have a computer issue unrelated to PC Matic, please use our support forums. You can also reach our official customer support team here. PC Pitstop PC Magnum is both a free privacy scan and paid tracks cleaner. PC Magnum runs in two separate phases, first scanning your computer for personal tracks you've left behind, then erasing this information. Everything you do on your computer is being recorded by Windows in order to create a more personalized experience. However, this same history log can be easily accessed by unscrupulous third parties to track and learn your computing habits. Important information includes which websites you frequent, which documents you've been using, and documents you've recently deleted. PC Magnum is a unique privacy product that removes this potentially embarrassing and private information, allowing you to control what others may learn about you and your computer habits if your PC is accessed without your knowledge. Browsing History. Browsers keep a detailed list of how many times and when you have visited each website. Your PC may have records dating back to your PC purchase. PC Magnum deletes browsing history in Firefox, Internet Explorer, and Chrome. Image Cache. Browsers also download and store all images viewed on a website you have visited. PC Magnum scans Firefox, Internet Explorer, and Chrome for cached images and deletes them for you. Cookies. Saved to your PC by websites you visit, cookies are used to create a more personalized and interesting browser experience. However, cookies can also be used maliciously to track your browsing habits. PC Magnum scans for cookies inserted by websites you have visited recently and removes them. Internet Cache. Internet Explorer, Firefox, and Chrome create temporary files for websites you have visited to improve browsing speeds. However, these unnecessary files can take up large amounts of space and could undermine your privacy. Auto Complete Forms. Your browser stores all of the information that you type into web pages. While this feature makes it easier to fill out forms, it also makes it easier for intruders to discover your personal information. Recent Document History. Windows and Office maintain a list of recent documents used on your computer for your benefit. PC Magnum allows users to delete this list to prevent others from knowing what they've been working on. Recycle Bin. After deleting a file with Explorer, the file is imported to the Recycle Bin. Until they are permanently erased, these files may be seen by others. PC Magnum allows users to empty their Recycle Bin and reclaim this disk space. For any technical questions--before or after you purchase the product--please use our Paid Products forum. That way, you can get quick answers and share your questions with other users. If you have a computer issue unrelated to PC Magnum, please use our support forums. You can also reach our official customer support team here. PC Pitstop Optimize performs four main functions: removes "junk" files to free up disk space; adjusts Internet settings for better performance; removes invalid registry keys; and adjusts several registry settings that can improve overall performance. Here are answers to common questions about the application. Recycle Bin. Files are not actually removed from the drive when you delete them with Explorer. Instead, the files are moved to the Recycle Bin where you can retrieve them if you later decide that you should not have deleted them. Optimize empties your Recycle Bin to reclaim this disk space. Internet Cache. Internet Explorer creates temporary files that are not needed after you finished surfing. These files can take up large amounts of space and should be removed periodically. Although you can clear the cache in Internet Explorer, Optimize uses a more thorough method that deletes files left behind by IE. After scanning your system, Optimize gives you the option to review the files that it found and to select which files should be deleted. The hard disk clean-up permanently removes unnecessary files and cannot be undone. All of the other utilities in PC Matic can be completely reversed. The very first action Optimize does before making any registry setting changes is to make a backup of these settings. When you run Optimize it will give you the option to restore the registry settings back to any point before the application was run. For any technical questions--before or after you purchase the product--please use our Paid Products forum. That way, you can get quick answers and share your questions with other users. If you have a computer issue unrelated to PC Matic, please use our support forums. You can also reach our official customer support team here. Driver Alert takes the work out of identifying the latest drivers necessary to keep your PCs running at peak performance. In addition, PC Pitstop's Driver Alert Notification Service will track changes to drivers for your PCs and deliver that information directly to your inbox. Here are answers to common questions about the application. What browsers does Driver Alert support? No specific supported browser is required. A driver is software that allows your computer to communicate with hardware or devices. The maintenance of your system's drivers are critical to the overall performance of your PC. How does updating my drivers help the performance of my PC? Updating your PC device drivers can often improve the speed of your PC, resolve known technical issues and add functionality. Why should I subscribe to Driver Alert? When manufacturers release new products, these products are often found to be incompatible with other products on the market. Manufacturers fix these problems by releasing updated drivers. Unfortunately, many of these manufacturers fail to include an auto update feature for updating drivers. Driver Alert offers an easy way to keep your drivers current, while enhancing the stability and overall performance for your system. Unlicensed users can run up to 3 Free Driver Alert scans. What if I want to add additional computers to my account? PC Pitstop offers several options for users who would like to track driver changes for multiple PCs. Once I subscribe to Driver Alert, how often will I receive reports/notifications? Driver Alert subscribers will receive a monthly report. PC Pitstop's Disk MD performs a quick check to ensure your hard drive is running up to its potential. A drive that is in poor health will perform poorly and put you at risk of losing data. Disk MD can improve system boot time; minimize freeze ups and system crashes; prevent data loss and file corruption. Here are answers to common questions about the application. What disk volumes are supported? Disk MD supports FAT32 and NTFS (New Technology File System). My OS includes a disk defragmenter. Why would I need Disk MD? Disk MD is an easy to use, customizable defrag tool that provides you with a detailed view of the defragmentation process. In addition, Disk MD is the first defragment product on the market to defrag system restore point, which are arguably the most fragmented files on a drive and usually locked and un accessible to applications. When Windows writes a file to the hard disk, quite often it has to break the file into multiple pieces. As this happens over days, months, and years, the drive becomes fragmented. The impact to performance is huge. It is not uncommon for a very fragmented file to take 60 times as long as an unfragmented file. Can I use my system while the defrag is running? Yes you can. However, it is not recommended because the system is constantly changing files. The impact on overall performance varies with the configuration of your system. Will running processes like your firewall, anti-virus utility interrupt the defrag process? The processes will not not interrupt the defrag process. However, it is always recommended that everything be closed down during defragmentation. Applications sometimes create and delete files, including temporary files which can hinder the effectiveness of defragmentation. Could I lose access to some files while Disk MD is performing a defrag? Yes, defragmentation creates an exclusive lock on files while it is moving them. Of the total amount of data on the disk, the percentage of data that resides in fragmented files. Generally, the lower the number, the better the system performance. If the percent of data fragmented is very high, but the number of files fragmented is low, this indicates large files holding a majority of the total data on the disk. Note: These results may differ slightly from the numbers shown by the analyzers in defragmenting utilities due to differences in the way used and available disk space is counted. Of the total files and directories on the disk, this is the percentage of files and directories that are broken into two or more fragments. Lower numbers indicate better system performance potential. Note: These results may differ slightly from the numbers shown by the analyzers in defragmenting utilities due to the way files are counted. The actual number of files on the disk that are fragmented. Even a freshly defragmented drive may have some fragmented files, particularly if you use the defragmenters that are bundled with Windows. Those versions often cannot swap files or system files, which means they cannot totally defragment the drive. Total number of extra file fragments on the drive. Ideally this number should be close to zero. Average number of fragments in each file. Ideally this number should be close to one. The files on the system that are shown to be the most fragmented. If the fragment count is over 100 then your system performance is impacted. SSD or Solid State Drives do not need to be defragmented. The data that supports the System Restore feature of Windows XP. System Restore enables administrators to restore their computers to a previous state without losing personal data files (e.g. Word documents, graphic files, e-mail). There are several different ways to disable a program and stop it from running, depending on whether you want it to be permanently disabled or not. Unless you are totally sure that the program is spyware or a virus, it is a good idea to first try temporarily disabling the program to see what will happen when the program is disabled. PC Matic users can also run a scan and clean to remove malicious programs. Why are all these programs running? Usually, a program runs "in the background" so that it can provide some sort of service while you are using the computer. For example, it may support special function keys on the keyboard, or interface to a scanner. Other programs are spyware or adware, and are designed mainly to benefit the companies that wrote the program--not you. Each program that runs consumes some computer resources such as system memory, and may also consume CPU time. This can reduce the performance of the PC, so it is best to run only the programs you really need. How do I know which programs are needed? PC Matic users can run a scan and clean to remove malicious or potentially unwanted programs from their computer. If there are other programs that you are unsure of or don’t remember installing that are not being removed, contact our support team for assistance www.pcmatic.com/help. How do I stop a program temporarily? Windows XP/7: Press Ctrl+Alt+Del and select Task Manager. Click the Processes tab and select the program you want to stop from the list. Click the End Process button to stop the program. Windows 8/10: Press Ctrl+Alt+Del and select Task Manager. Press More details if no information is shown. Click the Processes tab and select the program you want to stop from the list. Click the End Process button to stop the program. If the program has been automatically configured to start, it will start the next time you boot your computer. This is a good way to see if a program is really needed. Stop the program using the method above, then use the computer for a few hours. If you do not see any negative effects or loss of functionality, then you can probably disable the program permanently. The best way to permanently stop a program from running is to uninstall it. Click Start | Settings | Control Panel | Add/Remove Programs. Find the name of the program you want to remove on the list and select it. Then click the Add/Remove button. Some programs, particularly spyware and adware, may not completely remove themselves when they are uninstalled. In these cases you can run a PC Matic scan and clean to remove them. How can MSConfig prevent programs from running? In some cases, you may only want to disable one part of a program, or the program may not have provided an uninstall entry. Windows XP/7/8/10 users can use the System Configuration Utility (MSConfig) that is provided as part of those versions of Windows: Click Start | Run and type msconfig. Then click the Startup tab. You will see a list of programs that will run each time you start your PC. Clear the checkbox next to an item to prevent it from running. If you later find that you need that program, go back to MSConfig and check the box next to that item, and reboot. How do I manage Windows services? There is a separate interface that controls services. Click Start and type services.msc in the search box and press enter. Find the service that you want to change and double-click it. From there you can start or stop the service, and change whether it should be started automatically when the system boots. In general it is not a good idea to "Disable" services unless you are completely sure that the service is not needed. Use "Manual" instead. Your computer's System Management BIOS (SMBIOS) is responsible for reporting configuration data to diagnostic programs such as PC Pitstop. When this data has not been recorded correctly by the system maker, it can cause our reports to be incorrect. We cover some of the most common situations below. Why does PC Pitstop show incorrect system information? PC makers are supposed to use the System Management BIOS (SMBIOS) Specification to provide a way for utilities such as ours to get information about the PC. Older PCs built before about 1998 usually do not implement SMBIOS at all; PCs built before 2000 often have serious inaccuracies in their data. Even brand-new systems can have incorrect SMBIOS data, and it is common with many systems that are not from brand-name manufacturers. Why does PC Pitstop say the CPU cache is disabled? This is another sign of incorrect SMBIOS data. The SMBIOS indicates that a CPU cache is present, but that it is disabled. We have no way to know that the BIOS is giving incorrect information. How does incorrect SMBIOS affect my system? Usually, it has no impact on functionality or performance. SMBIOS data is intended for use by inventory and diagnostic programs. Microsoft Windows does not depend on SMBIOS information to be able to run properly. However, incorrect SMBIOS data can be a sign that the system maker did not do some basic quality control. If they did not get the SMBIOS data right, there is certainly a chance that they made other mistakes. Can I fix problems with incorrect SMBIOS data? BIOS and system makers have utilities that can write to the SMBIOS data areas, but they do not usually make them available to end users. Sometimes the problems with SMBIOS are fixed through BIOS updates that will be made available by your system vendor or the manufacturer of the system board. If you cannot get a copy of the vendor's SMBIOS utility and a BIOS reflash does not solve the problem, then you will have to live with the data being wrong. Where can I find out more about SMBIOS? SMBIOS (also known as the DMI BIOS) is part of the work of the Distributed Management Task Force (DMTF). The SMBIOS specification is available on their web site at https://www.dmtf.org/standards/bios.php.